ShuarHands, Inc. is please to share the following products from Ecuador. 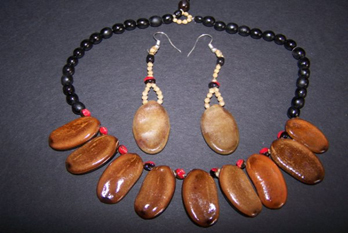 Please view items from the indigenous Shuar of the Amazon Jungle and beautiful hand crafted items from the Andean Mountains. 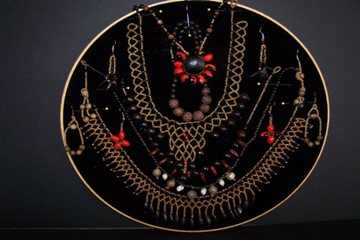 The jewelry shown here is hand crafted by Shuar women artisans using organic natural seeds and fiber products from the Amazon Basin. 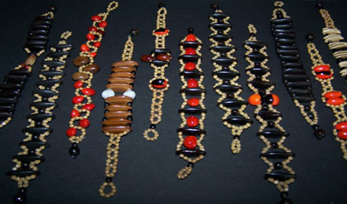 Raw materials are harvested by hand with no destruction of flora or fauna within the rain forest. 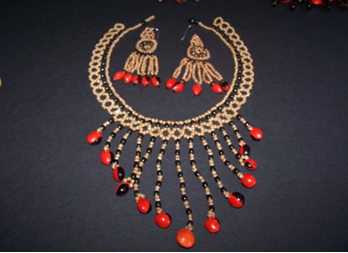 Each beautiful piece of jewelry is created and designed by artisans within their homes. Notice that each piece has a unique and distinct appearance. 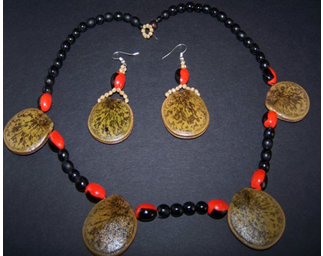 Please contact ShuarHands, Inc. for more information about these beautiful handcrafted items. The tool that is used to drill the hole is a old toothbrush handle with the brushes removed and replaced by a small drill bit. Artisans stated that some seed take as long as ½ to drill. These large flat circular seeds are found on the alluvial sand banks in the western part of the Amazon. 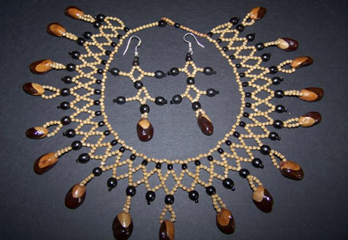 The main seed used in the foundation of many unique handmade pieces is the Cumbiak seed. A broth is frequently made from this small brown seed. 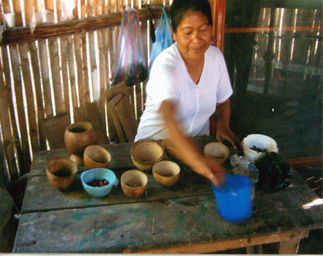 According to the Shuar, sucking on the seeds after consuming the broth will give you energy. 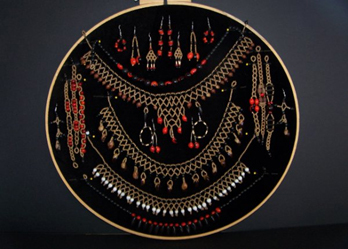 ShuarHands, Inc. officials work with artisans from the Andean Mountains of Otavalo, Cotacachi and other villages of the highlands. The Artisan Market in Quito is also where unique items are found. 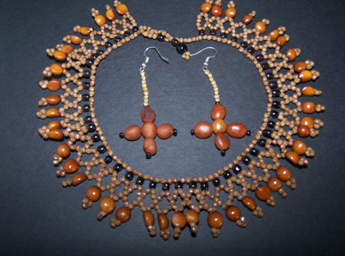 Enjoy these pictures of a few selected beautiful handmade items. Please contact us directly for information on upcoming ShuarHands, Inc. showcases and exhibits. To become involved as a Distributor or Vendor of these products, please contact us directly.